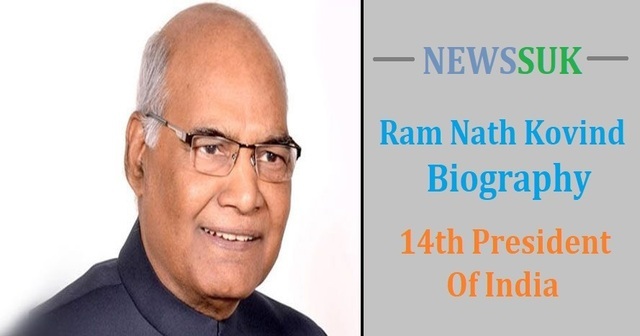 Ramnath Kovind was born on 1 October 1945 in Parowch village in Kanpur countryside. Parakh belongs to Darrapur tehsil here. There was a grocery and clothing shop in the village of Maccullal. He also used to work Vaidya for the people of Maculal village and the surrounding area. His mother’s name was Mrs. Phoolmati. Elementary Education took place at village Khanpur Parishad Primary and East Secondary School of Sandalpur Block. Passed Intermediate from BND of Kanpur Nagar. After this here, B.Com from the DAV College. LLB did the same from DAVY College. After LLB, he also went to Delhi and prepared for the Indian Administrative Service. For his expenses there he continued to work as a steno in the high court. In the third attempt, they also got selection in Allied Grade of IAS but left it due to having a low significance position. On 30th May 1974, they got married to Sarita Devi. Sarita Devi was working in the telephone department. While doing preparatory work, he started practicing in Delhi High Court. On the strength of his talent and hard work, Ramnath succeeded in becoming a lawyer in the Supreme Court. In 1977 when the Janata Party government under the leadership of Morarji Desai, Kovind was made the private secretary of Desai. From 1980 to 1983, Kovind stayed at the standing committee of the Central Government in the Supreme Court. During his stay in Delhi, Kovind joined the National Self Service Association. Soon he joined active politics and in 1991 he joined the BJP. In 1990, the BJP contested the election from Ghatampur Lok Sabha seat, but the success was not achieved. In 1994, the party formed them in the Rajya Sabha from Uttar Pradesh. Here are two consecutive terms here. From 1994 to 2000 and 2000 to 2006, the MPs remained. The party also made them their national spokesperson. He is also the President of the BJP’s Anusucit Morcha. In August 2015, Vind was made Governor of Bihar. In July 2017, NDA left the governor’s post when the candidate was nominated for the presidential election. Become the 14th President of the country by defeating the Opposition candidate Meera Kumar. Supply Chain Management industry make Room for Social Media?